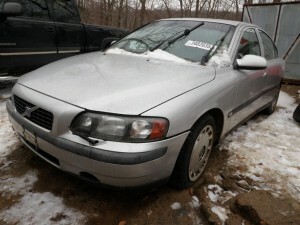 2001 Volvo S60 2.4T Sedan Now In Stock! Quality Used Parts! We have just received this 2001 Volvo 60 Series, and have inventoried it for all of the quality OEM replacement parts that you need to fix your Volvo. If you need parts from this 60 Series or any other parts for your Volvo please call 1-800-231-9121.